Home » Editorial » When will the bandage be ripped off? When will the bandage be ripped off? At this point, one would think Oshawa council would be aware that this type of solution does not work. Council approved what was mostly a status quo budget and a 2.37 per cent tax increase for residents. At the same time, they also introduced a one per cent tax levy to raise funds for infrastructure. It was all part of council’s usual song and dance of having staff come forward to look like the bad guy by proposing a high tax increase. Following which, council will work hard to find the funds to wrangle that number down to give the appearance they are trying to appease taxpayers. At this point, it’s hard to say whether the residents of Oshawa are falling for it anymore. It’s clear that these repeated years of not properly dealing with the city’s infrastructure repairs, an issue that has led to a $464 million deficit of projects that will need funding in the next nine years, is slowly coming back to haunt the city. Mayor John Henry can talk rhetoric about how all municipalities are dealing with this issue and more funds from the other levels of government will come swooping in to save the day, but it doesn’t cover up the fact that council has continued to ignore this problem for years, and they have done it once again. The one per cent levy, which will raise a whopping $1.2 million this year, will do nothing to address the issue in any concrete way. Even if council were to increase that levy by one per cent for the next 10 years, that money would still not come close to fixing the problem. 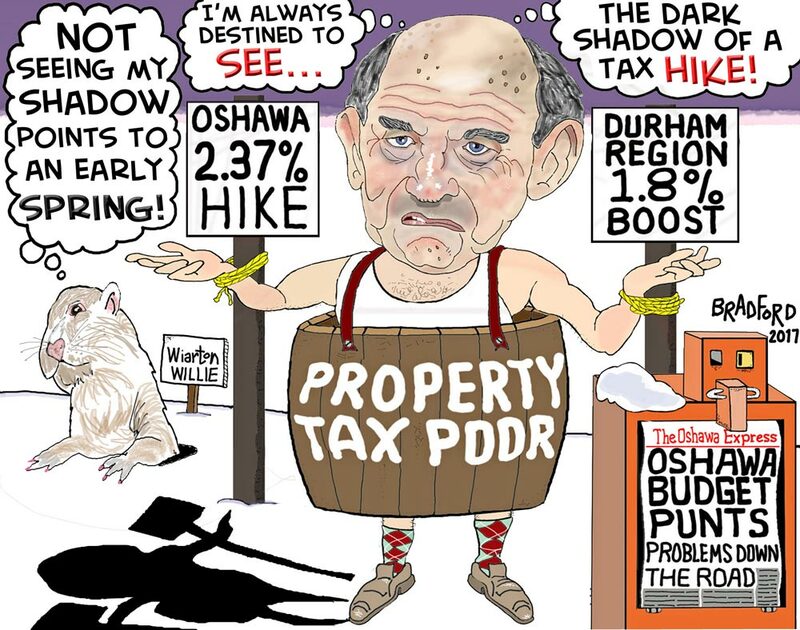 Sure, if council were to introduce a 10 per cent levy on taxes this year, they’d be run out of city hall with pitch forks, and for that reason, Councillor Bob Chapman says it’s about balance. The balance of finding money to deal with the issue, while also running a city. However, that care for taxpayer money didn’t seem too apparent when the city pushed aside its own debt policy and approved $4 million of debt to fund the new runway at the airport. It also doesn’t seem to be too apparent as council approved $2.7 million of road preservation measures this year, while ignoring $2.7 million of roads that are in need of full reconstruction. Residents need to be prepared, because that money will need to come from somewhere and will be coming out of your pocket.